Welcome to the first Monitor 2019. Any comments or questions email [email protected]. You can download this issue as a pdf file from https://www.windmill.co.uk/monitor/monitor244.pdf. In data acquisition, excitation is the voltage or current which is needed a transducer. Many transducers, like strain gauges and RTDs (resistance temperature devices), need a power supply to provide excitation. These are known as Active Transducers or Sensors. The signal from these transducers is either a voltage or a mA current. For many transducers the supply will be low voltage DC, but for transducers based on capacitance measurement an AC supply may be required. Excitation is commonly needed for measuring force, pressure, relative humidity, temperature, level, light level, concentration and vibration. When purchasing a data acquisition system you should check that your measurement hardware can be equipped with power supplies suitable for providing the excitation voltages or currents you need. Because the choice of power supply will depend on the number and type of transducers, it's best to draw up a list of transducers and their excitation requirements. The information needed includes voltage range and current requirements, and for AC excitation voltages, the frequency used. Read more on excitation and signal conditioning. Hi, as an old dial-up serial logger enthusiast can you offer me/point me in the direction of some literature to enable me to use your Microlink 840 from my office to a remote site on another's network. The site has Enviromon equipment installed as the logger via a dial up. The remote site has internet connection and a terminal would be provided by others to the router at that site. Do you have any information that describes the set-up of remote sites such as this so that when I speak to the IT people I have a notion of what they are talking about? Thanks. The router will have an external IP address to which you can connect via the internet. You would use this IP address to talk to the logger. When using ethernet to communicate with a device, you will use a particular port (this is the port the device is listening on to wait for a message). 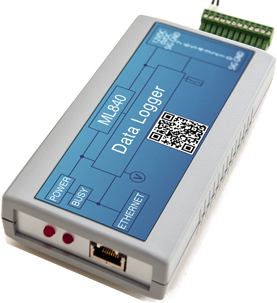 The Microlink 840 logger listens on port 47471. Now the router has to be setup to forward a request to port 47471 on to the logger at its internal IP address. This process is known as port forwarding. The default IP address of the Microlink 840 logger is 192.168.1.61, but this can be changed. Your IT people will know how to port forward a particular port to a particular IP address. Once this is done the software you use to talk to the device, on a local wired network, can be used to talk to the device across the internet, using the external IP address of the router. 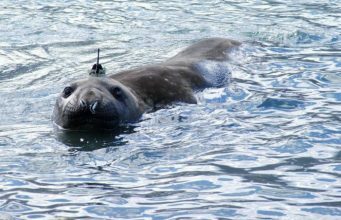 Two species of seals are to wear sensors to investigate a huge glacier in West Antarctica that is at risk of collapse. New technique, which works by measuring a building's ambient vibrations, improves accuracy of assessing whether a building is safe to move back into a building after an earthquake. Mathematical model based on the natural coordination of frog choruses helps design efficient networks.